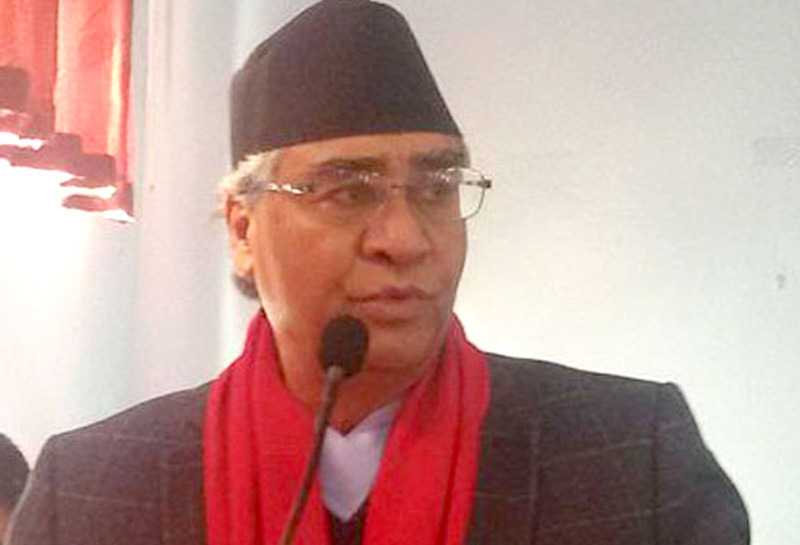 Nepali Congress (NC) President Sher Bahadur Deuba has accused the incumbent government of interfering and controlling every sector including bureaucracy and police administration. At training and felicitation program organized by the Nepal Civil Service Employees' Union close to the Nepali Congress, Gandaki province working committee, in Pokhara, today, the former prime minister accused the NCP-led government of trying to keep bureaucracy and police under its control going against the democratic norms and values. 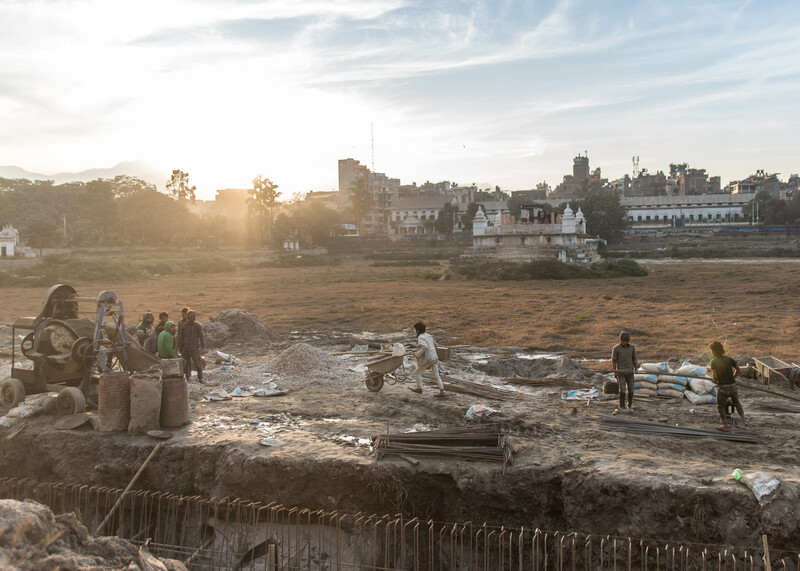 January 16 marked the completion of three years since a foundation stone for the reconstruction of famous historic site Rani Pokhari in the heart of Kathmandu was laid. President Bidya Devi Bhandari laid the foundation stone for reconstruction of the historical site and an ancient pond on January 16, 2016 as the marker of the beginning of the works to restore the historic heritage site dating back to the Malla-era which was massively damaged by the 2015 April earthquake. Volunteers collected 36 metric tonnes of waste in course of cleaning the various rivers and the Ring Road area in the Kathmandu Valley today. The collected waste was managed with the help of local governments. 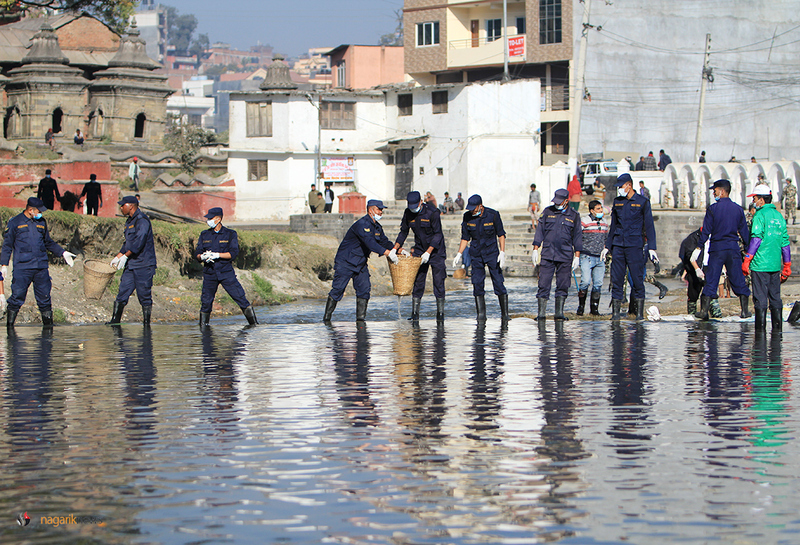 The area on the bank of the Bagmati river below Gusinggal, Lalitpur was cleaned today as part of the 297th week of Bagmati Cleaning Mega Campaign. 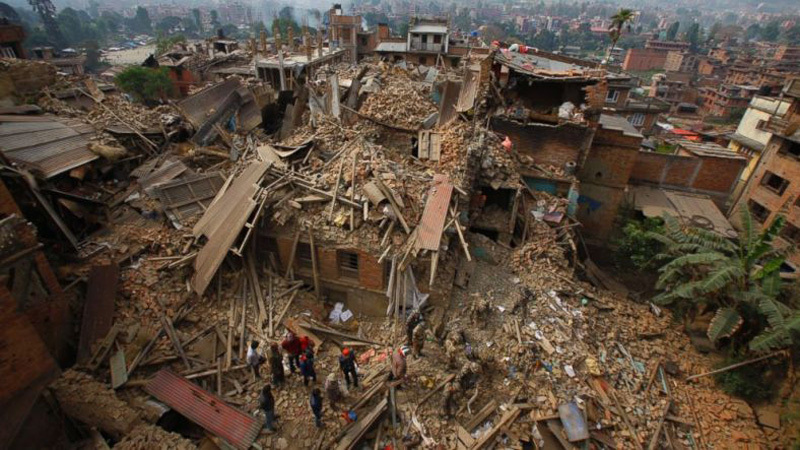 More than three years after being hit by a powerful tremor, Nepal still faces the threat of a much stronger earthquake with magnitude of eight or more, according to a new study by scientists from ETH Zurich. 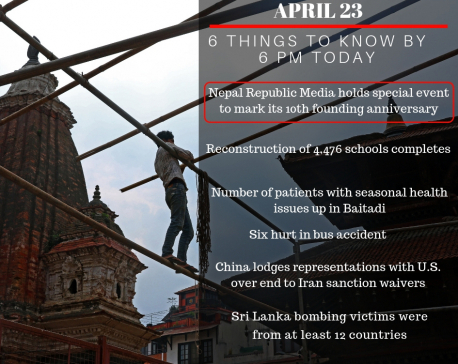 In April 2015, a tremor of magnitude 7.8 devastated hundreds of village, monuments and traffic routes in Nepal, killing over 9,000 people. 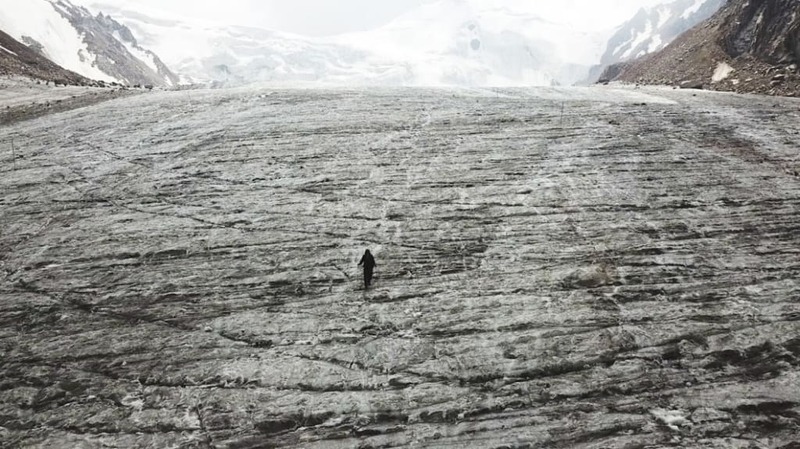 On a summer day in the mountains high above Almaty, Kazakhstan's largest city, the Tuyuksu glacier is melting like mad. Rivulets of water stream down the glacier's thin leading edge. 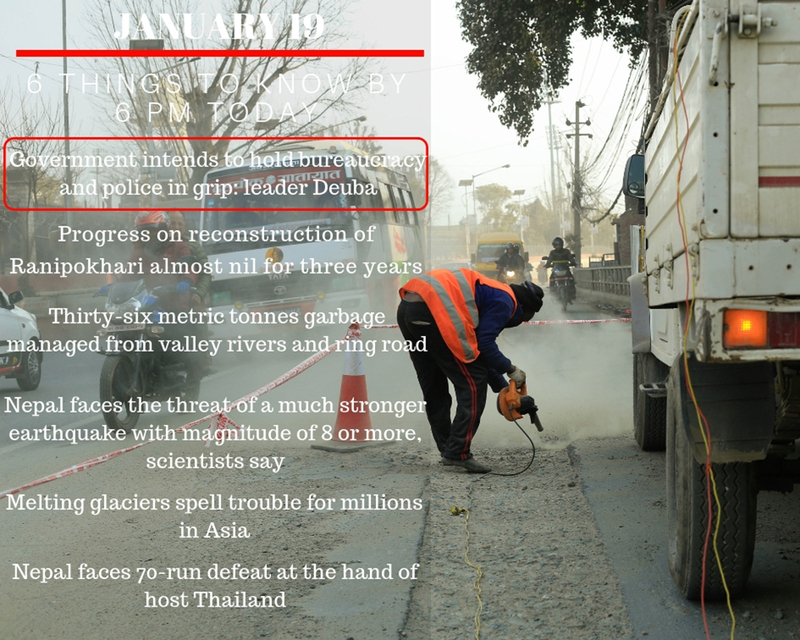 In Central Asia, a warming climate is shrinking many glaciers. The Tuyuksu is losing ice every year. 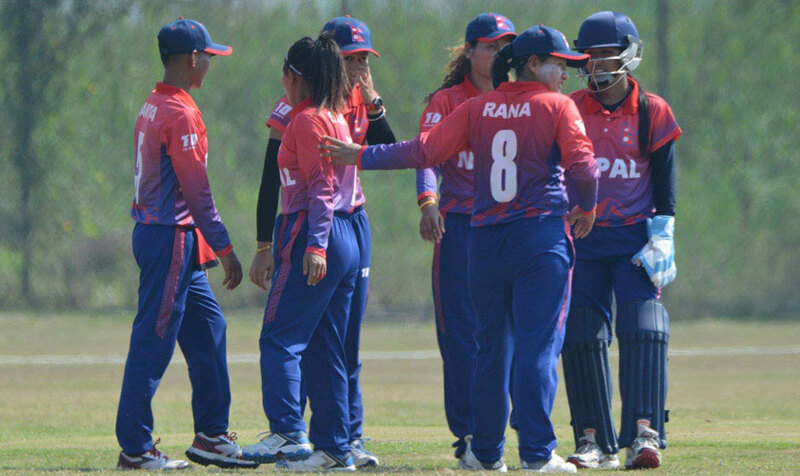 Nepal Women’s National Cricket team has faced a 70-run defeat at the hand of host Thailand in the final match of Women’s Twenty20 Smash Cricket held at Bangkok, Thailand on Saturday. Nepal was all out for 51 runs in 17.2 overs while it was chasing 122 runs target set for Nepal by Thailand.